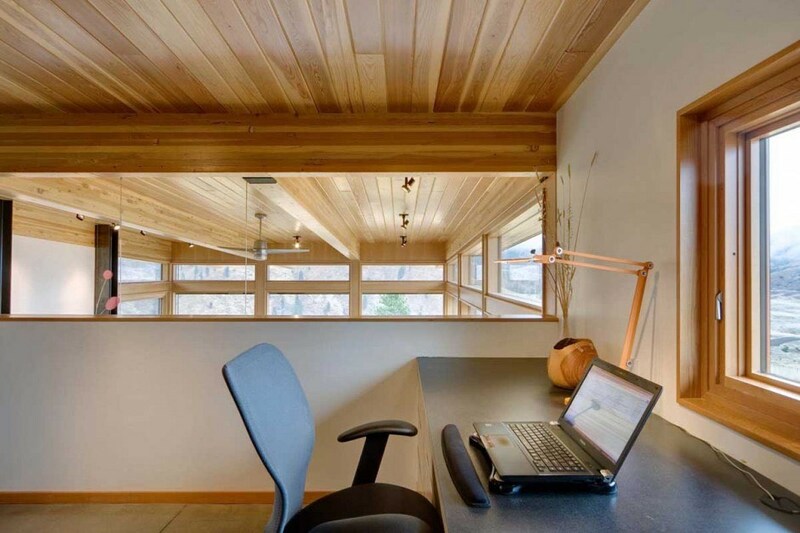 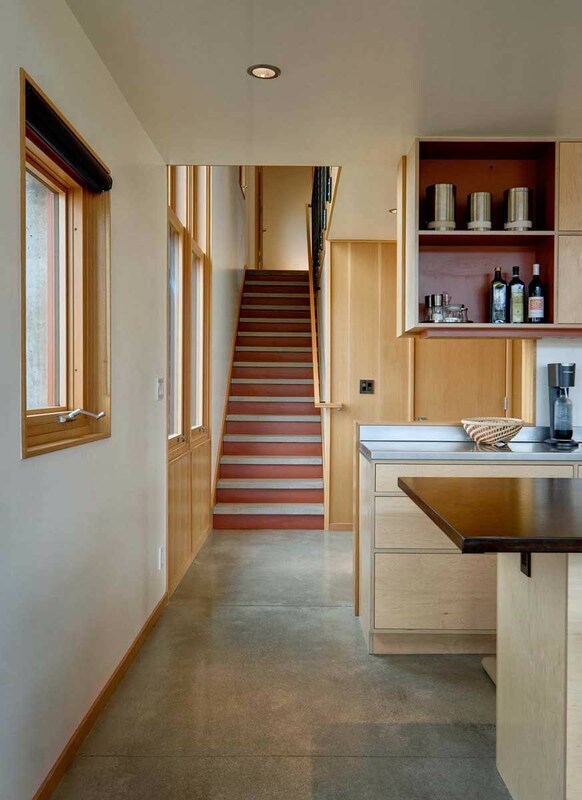 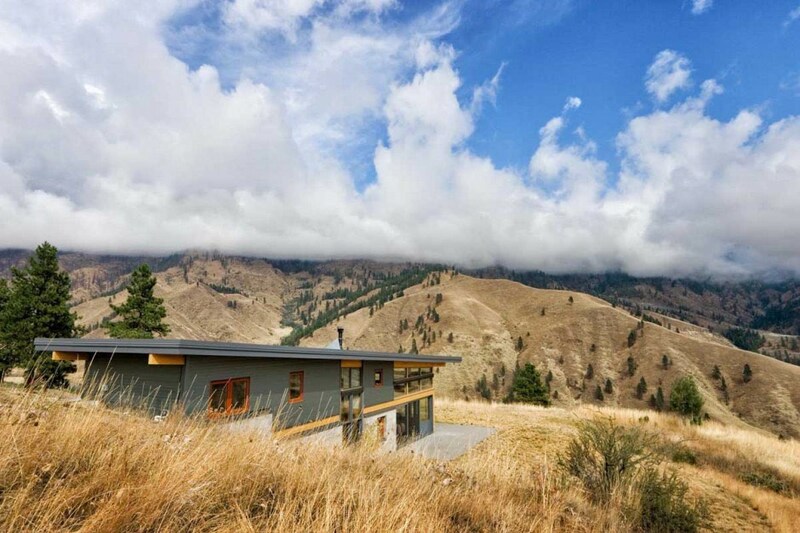 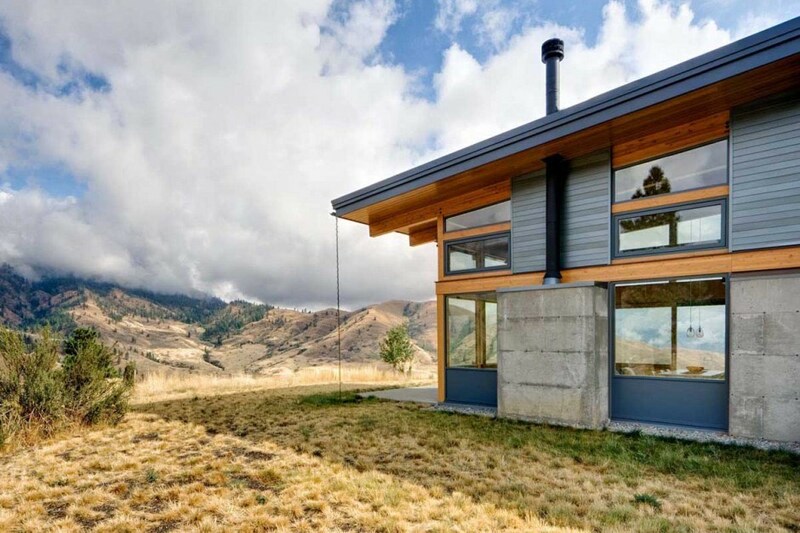 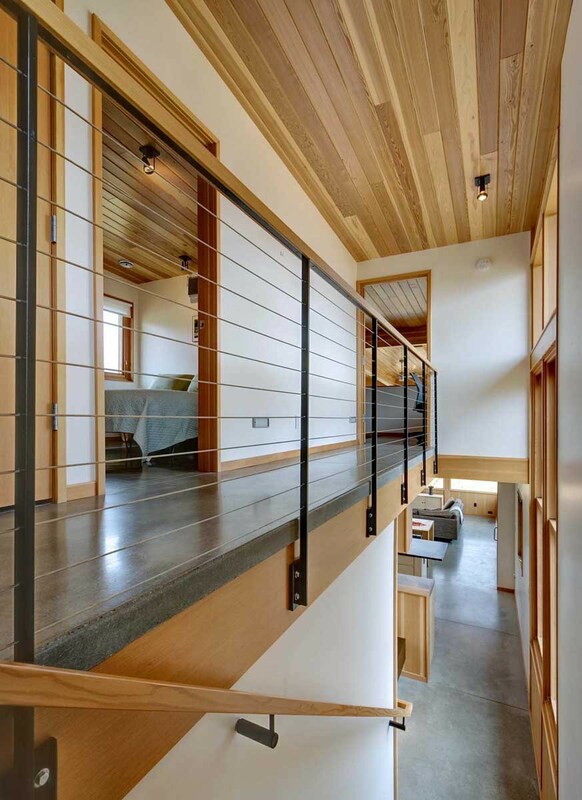 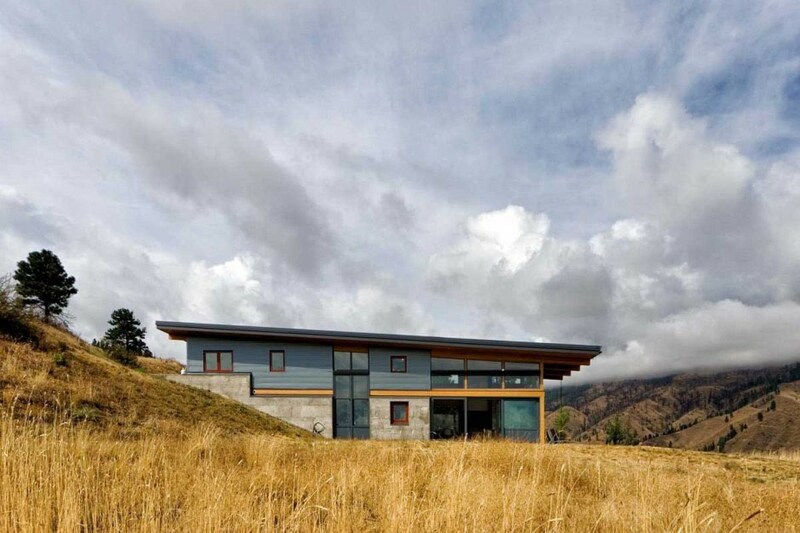 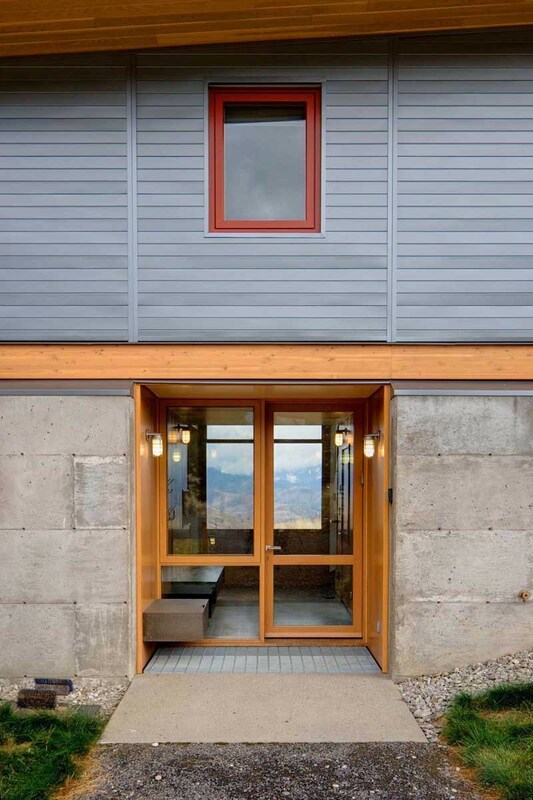 This two story dwelling is set into the hillside with concrete retaining walls that guide the form of the cabin. 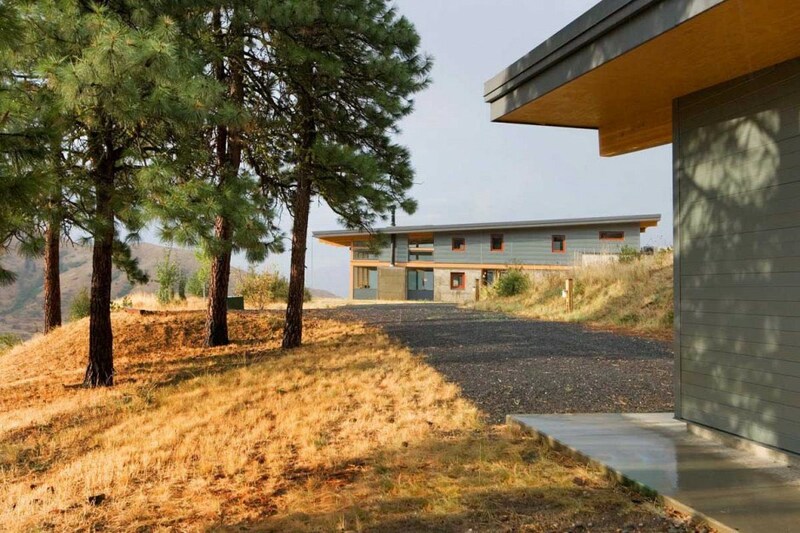 Its east west longitudinal axis and generous overhangs are designed to take advantage of solar orientation while maintaining panoramic views. 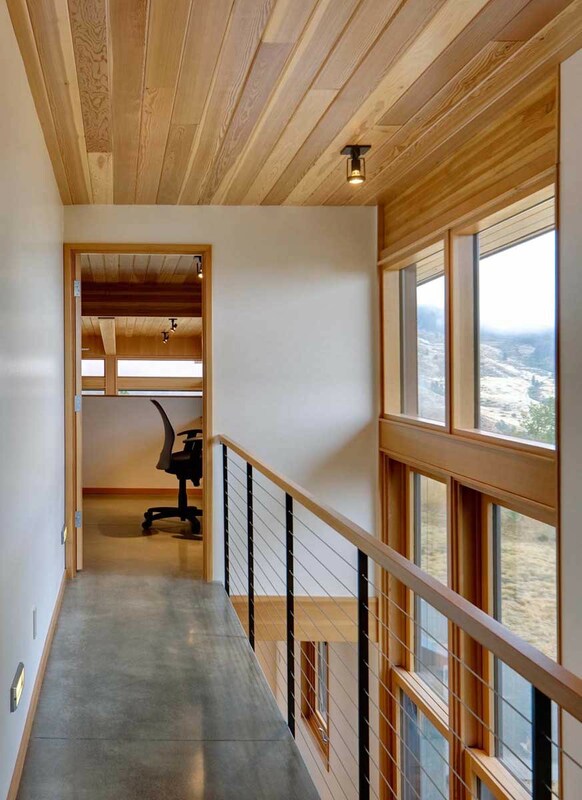 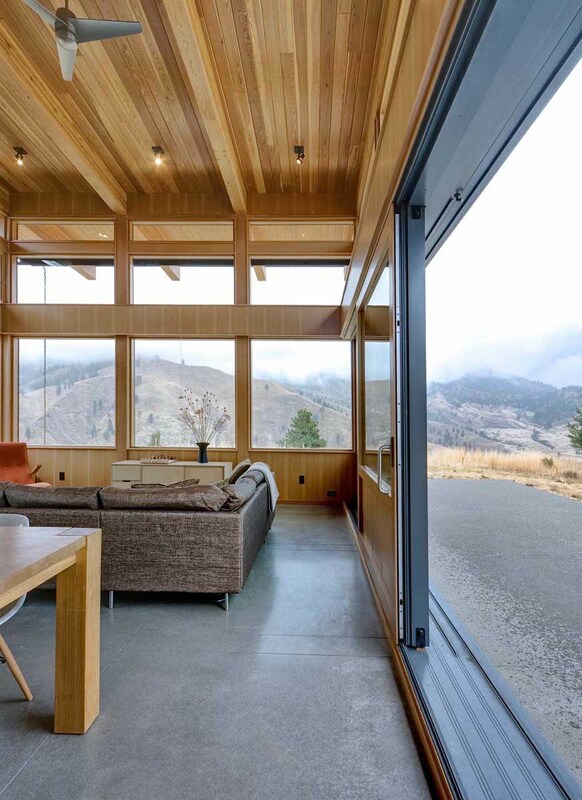 The main entry is a two story room with full height glazing on the north and south walls that frame the most dramatic down-canyon view. 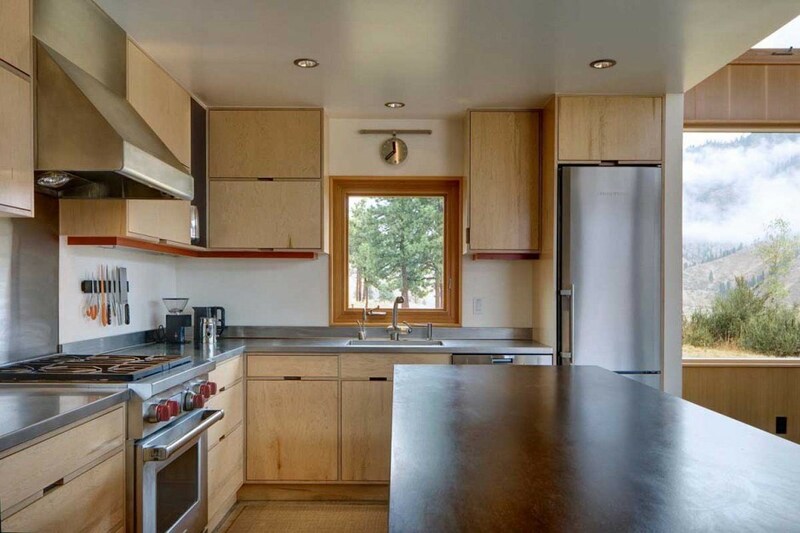 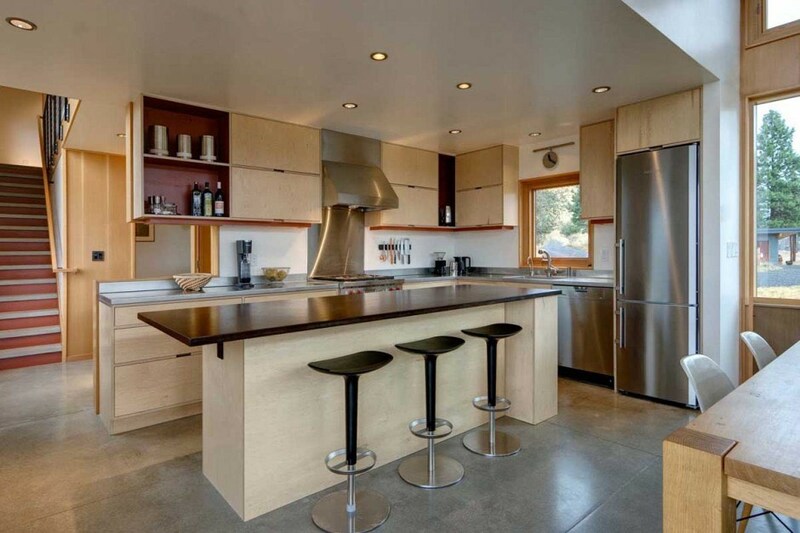 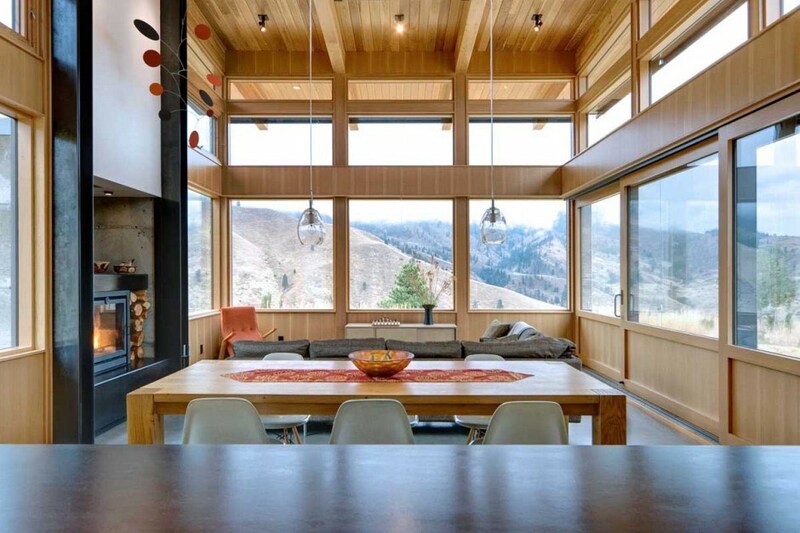 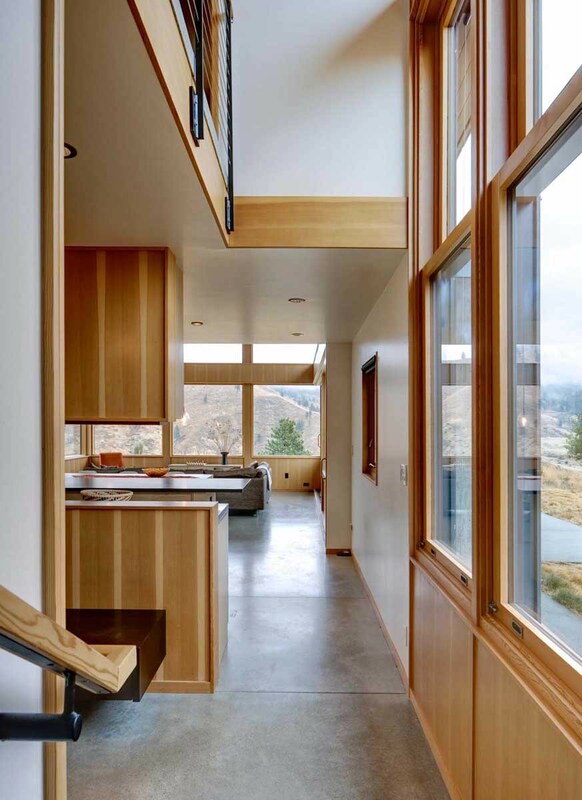 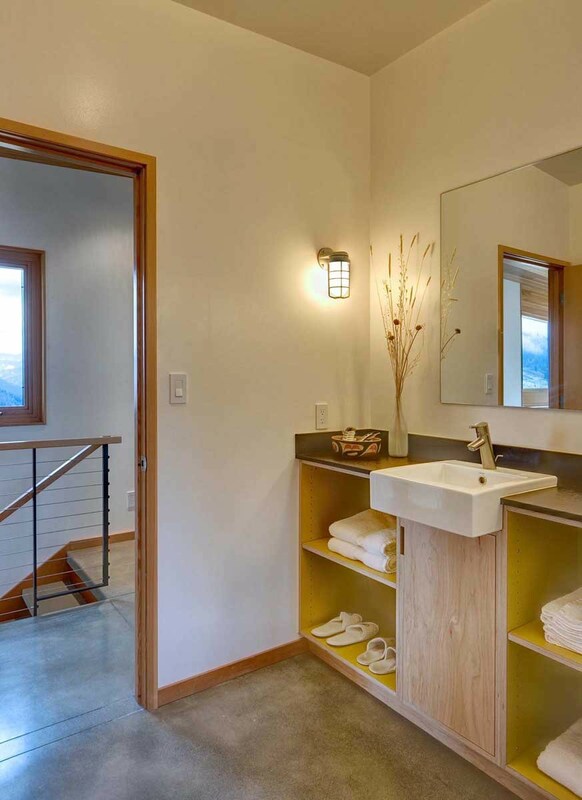 An eastern oriented living space and kitchen occupy most of the main floor along with a powder room and utility area located within the hillside portion of the home. 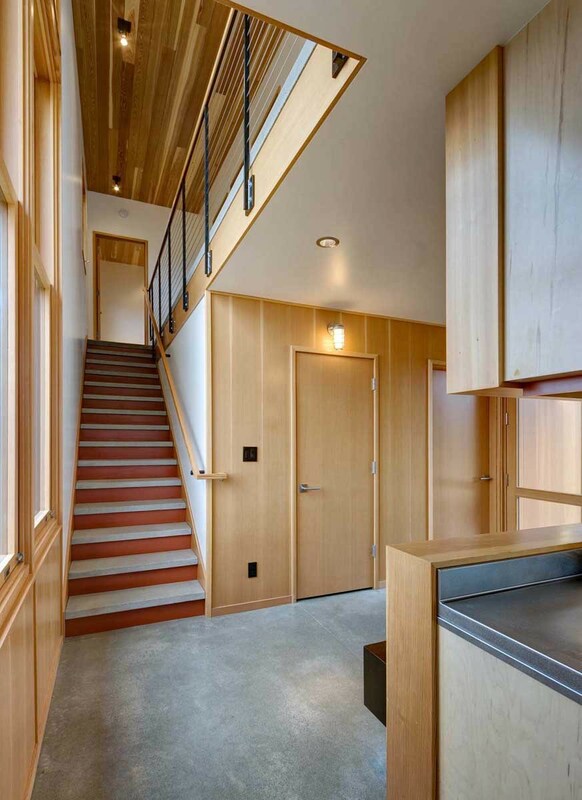 The upper floor contains the master suite and guest bedroom/bathroom with a loft style flex space that opens up to the living room below. 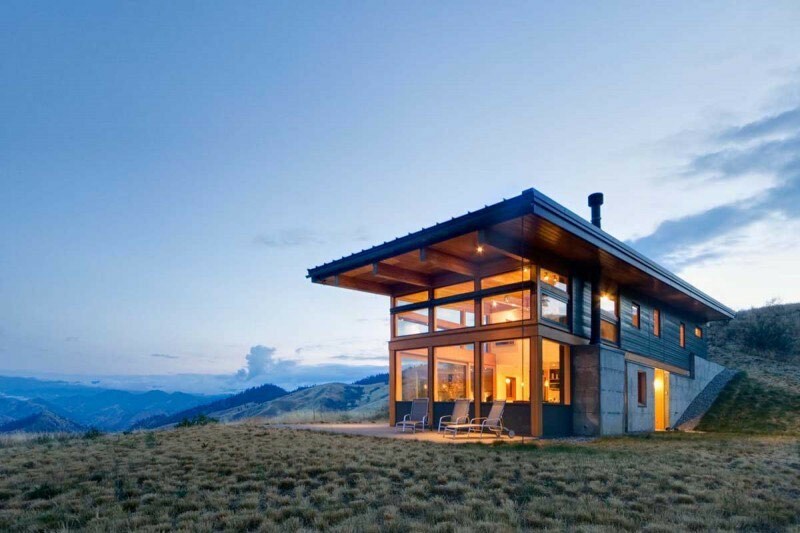 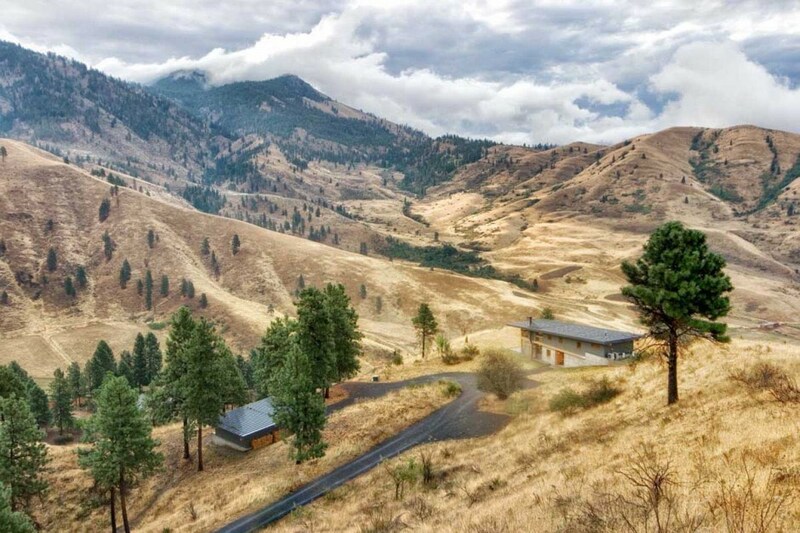 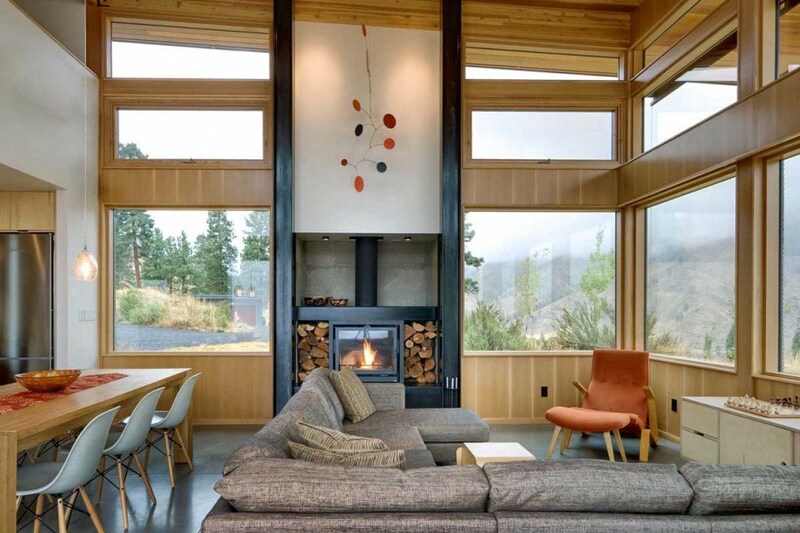 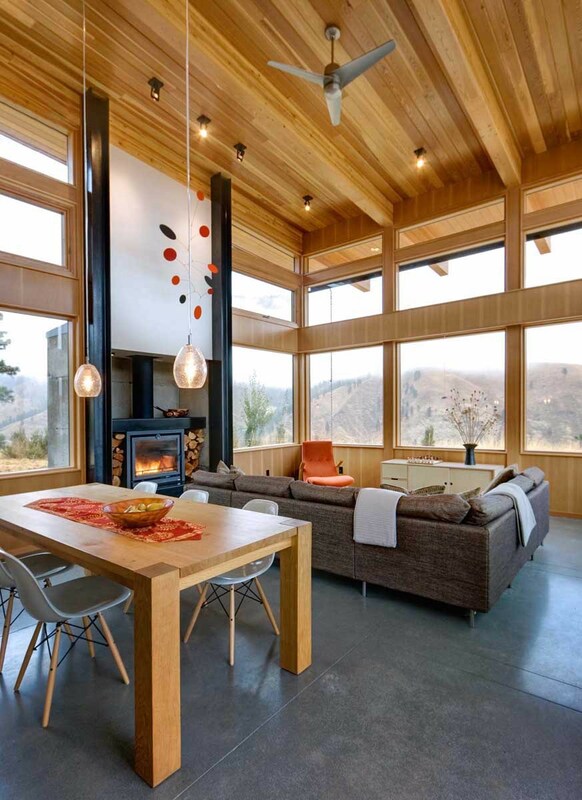 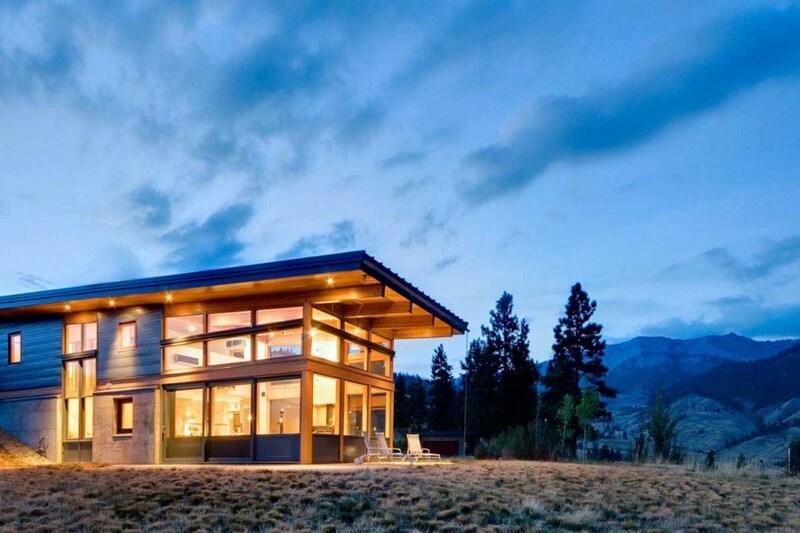 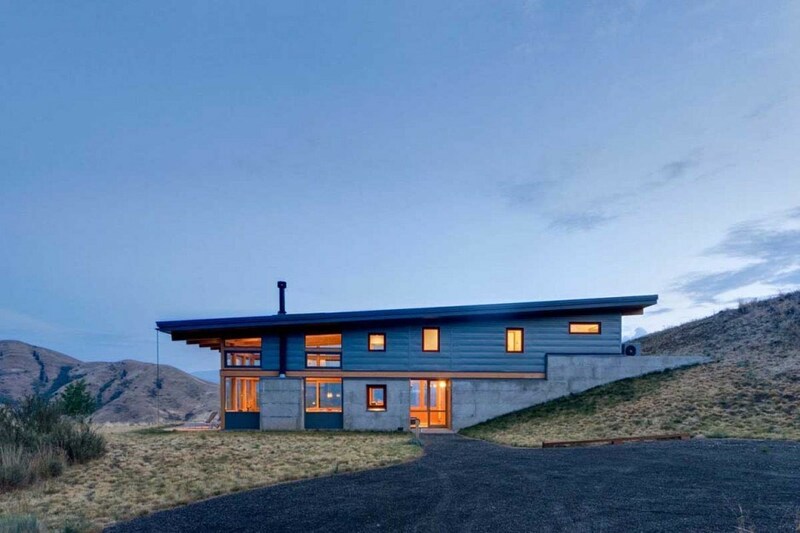 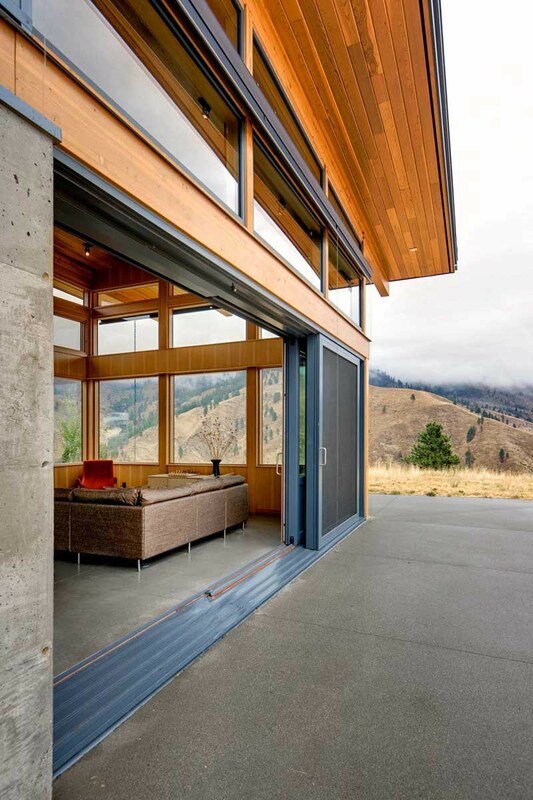 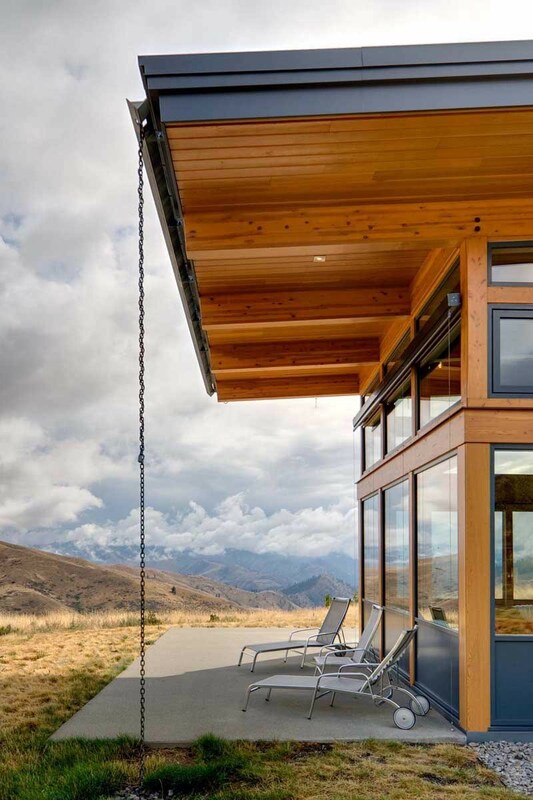 Расскажите друзьям о "Nahahum Canyon House"